A soul-searching journey that for the first time looks beyond the bright lights to explore mental health in the Australian entertainment industry. 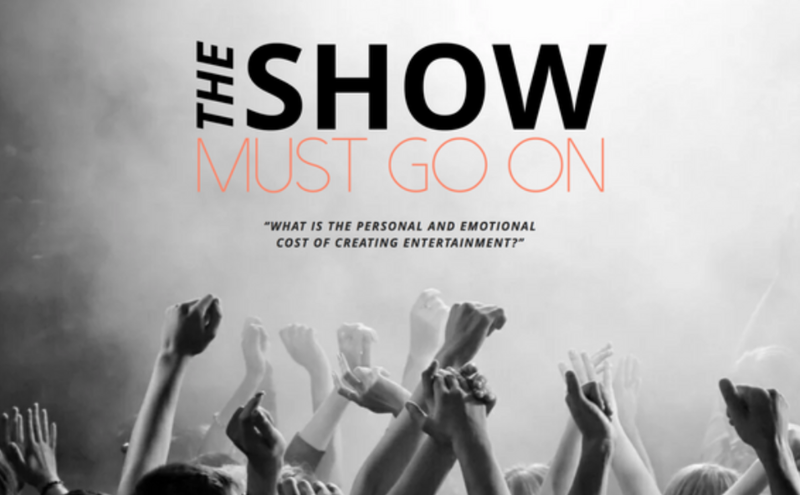 The Show Must Go On is the first film to tell the story of the mental health of the 42,000 people working in the Australian entertainment industry. While ‘show business’ is often seen as glamorous, fun, exciting, and well paid, recent and alarming world first research from Entertainment Assist and Victoria University paints a darker picture for entertainment workers. Suicide attempts in the industry are double the national average. Anxiety symptoms are 10 times higher, sleep disorders are 7 times higher and symptoms of depression are 5 times higher than the national average. This film follows former Home & Away actor and debut documentary filmmaker Ben Steel on a soul-searching investigation into why are there so many entertainment workers developing and struggling with mental wellbeing issues. Ben shares his intimate experiences living with depression and anxiety for the past few years, and along the way, we are witness to his intimate conversations with key creatives and crew, actors, dancers, musicians, performers- many of them household names – who have likewise struggled and how they have survived. While this film and impact strategy may not reach and save every life, we hope it will have enough impact to at least save one, and that it will spark much needed conversations about mental health.